The Judge Judith Kaye Project at The Family Center serves low income, breast cancer-affected NYC women with legal and social services. The Project has a special focus on older women without children or whose children are adults. Often, older women have fewer social and financial supports than younger women and they face significant barriers to medical and mental health treatment as well as to legal services. 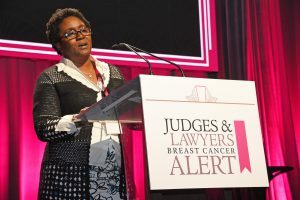 Judge Kaye, among many roles, was a distinguished attorney, the former Chief Judge of the New York State Court of Appeals, Chair of the New York International Arbitration Center and one of the founding members of the Judges and Lawyers Breast Cancer Alert (JALBCA). She was also a mother. She passed away in 2016 from cancer. 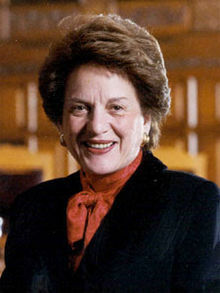 JALBCA founded The Judge Judith Kaye Project at The Family Center in 2012 in honor of Judge Kaye and her legacy protecting and advocating for community members in need. Since 2012, The Family Center’s Judge Judith Kaye Project has provided 513 breast cancer-affected mothers and 1,014 of their family members with legal, social and health services. The Project is generously supported by JALBCA since 2012.